Lincoln 10 km- Fiona walked as part of the Nordic Walking Uk team and we ended up passing some of the runners! 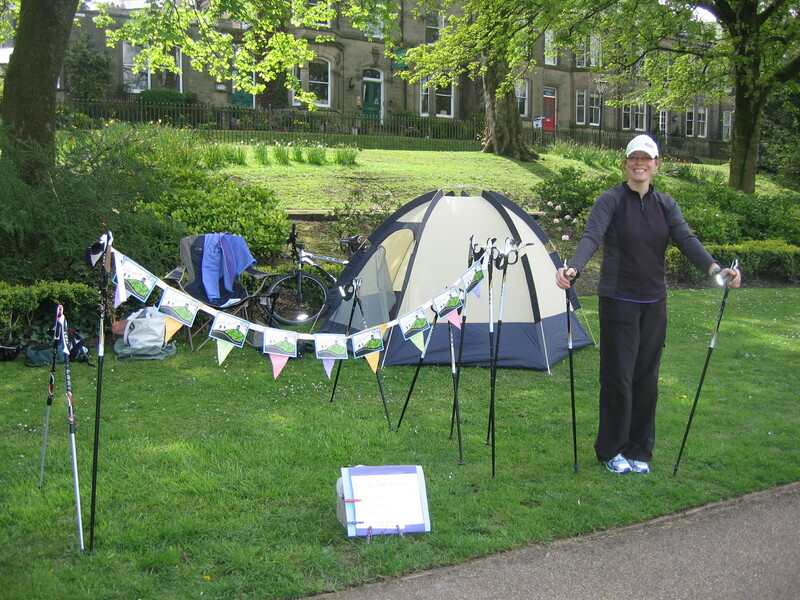 Nordic walking has featured at the Buxton Spring Fair. People got a chance to try walking with nordic poles in the Pavilion Gardens. Please contact me if you are interested in nordic walking a 5km, 10 km, or half marathon- there may be others who want to join you and form a team! I am also happy to come to local groups to talk about the benefits of Nordic Walking or introduce them to it via a short taster session.